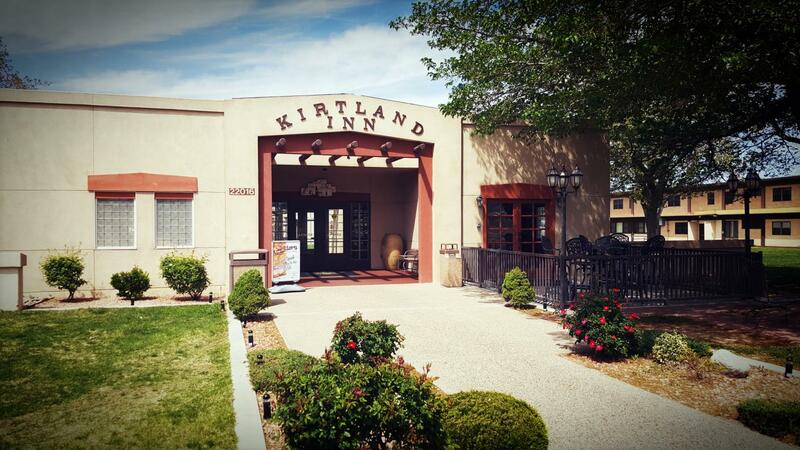 The Kirtland Inn is here to support the mission of the 377th Air Base Wing, the Air Force Nuclear Weapons Center and all other organizations on Kirtland AFB. We are provide lodging and support to eligible travelers, including retired military personnel. Transportation from Airport by Local Taxi. It is suggested that you call before arriving at Kirtland to find out which desk is appropriate for you to check into. Bldg. 22016 on Club Rd. Normal check-in time is 2 p.m. Check-out time is 11 a.m. Late check out will be charged as an additional night stay. Students should review class schedules to ensure they will be out of class prior to check-out time, or check-out before going to class. If a guest has paid by cash or check, and checks out early, a refund may be due, the refund will be paid in cash. Full refunds will be done immediately at checkout for credit card payments by processing a credit to the card used. Guests must submit a valid credit card number to hold a room past 6pm. 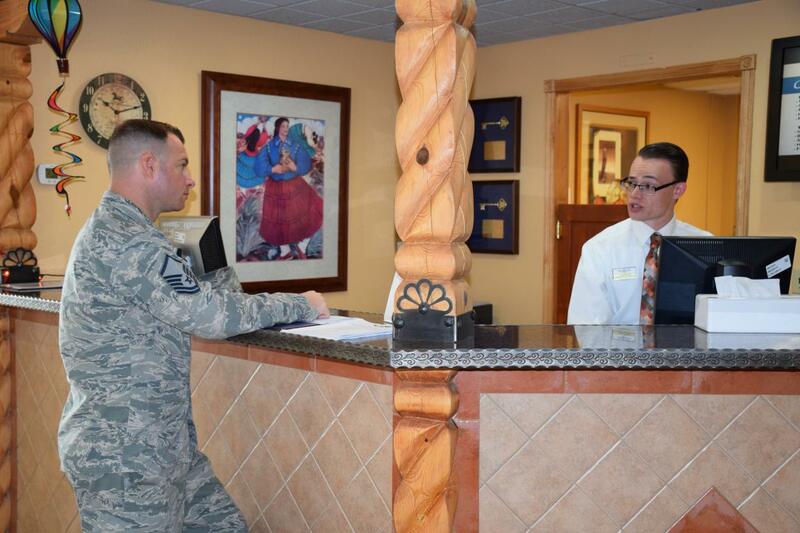 Reservations (non official duty status) can be made up to 72 hours in advance of arrival. 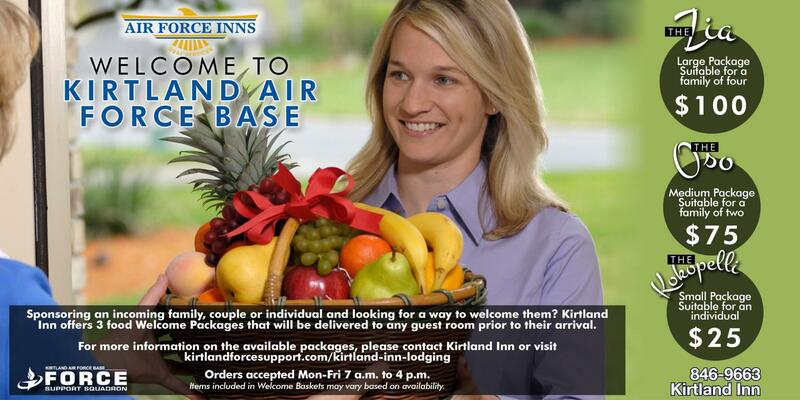 Kirtland Inn accepts cash, check, Visa, MasterCard, and USAF Services Proprietary Cards for payment. These payments are for the exact amount due for lodging services only. For check-cashing services, please contact the Base Exchange or other base clubs. Space-available guests must pay in advance regardless of payment method. Priority 1 guests, with valid credit card on file, must make payments every 15 days. Guests paying by check/cash must pay in advance for the first 30 days (if stay exceeds 30 days) or for the entire stay if less than 15 days. Wireless internet in all rooms! Assorted sundries are available at the front desk counter. Guests must be of legal age to purchase alcoholic beverages (21 years old). Business suites are stocked daily with assorted snacks, beverages and liquor. There are price listings in all suites. 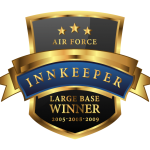 Temporary Lodging Facilities are available; these rooms are available for personnel PCSing in an accompanied status. These facilities feature two or three bedroom houses complete with washer and dryer and cooking facilities. The couch also pulls out for sleeping arrangements. A crib and high chair are also available in the TLFs. Laundry rooms are located in each building, and only lodging registered guest are authorized to use. There are vending machines for detergents. Ice machines are located near each of the laundry rooms. Wake-up service is available 24 hours a day. 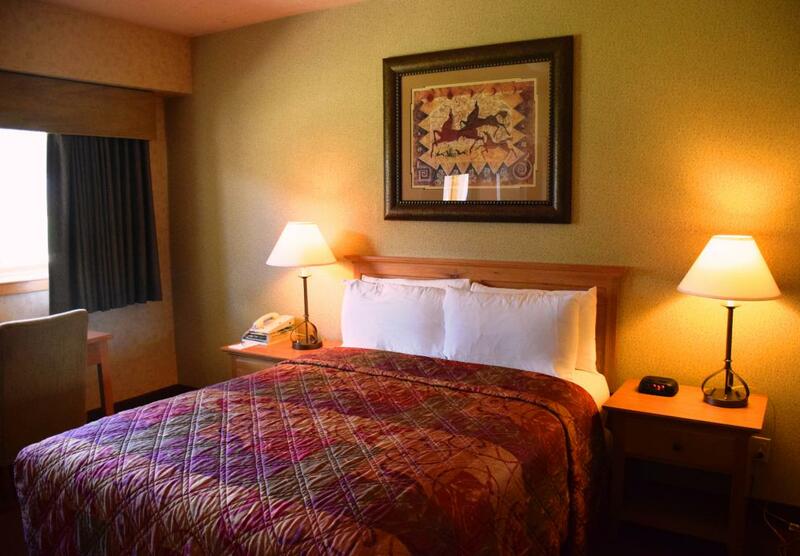 Every room is equipped with clock radio, microwave, television, phone, refrigerator, and ironing boards and irons. There is a directory in each room with base and local area information, and phone numbers and lodging policies. Bikes are not allowed in any of the buildings at any time. Boats, trailers, and oversized vehicles are not to be parked in lodging parking lots overnight. Contact Outdoor Recreation at 846-1499 for storage of vehicles. All lodging facilities are non-smoking. If evidence of smoking is found in the room, a $150 cleaning fee will apply. Pets now allowed in limited TLF accommodations, limited to two pets. There will be an additional $10 nightly fee. If necessary, a cleaning fee up to a $150 will apply. For any questions feel free to contact the front desk and we will be happy to assist you. Pet shot records required at check-in. Quiet hours are from 10p.m. – 7a.m. Fax service is available at the front desk.